The cropped flare is the trouser shape of the season, but don’t be daunted, they are easier to wear than you might think. It’s just about getting used to a new silhouette again. 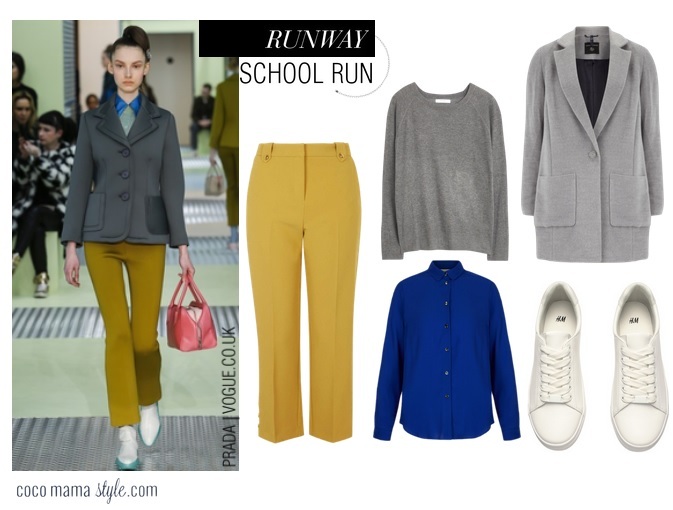 Make like Prada and inject some colour into your everyday school run style with ochre and cobalt and pull it together with shades of grey and fresh white trainers. Have you tried this season’s crop of crops?